Like the election, the Federal Reserve is keeping America in suspense...till December. The Fed decided not to raise the bank's key interest rate at the end of a two-day meeting on Wednesday. The decision was widely expected, with only 6% of investors betting there will be a rate hike. A few key reasons, among them the U.S. election, were believed to be behind the Fed's decision. But the Fed may be looking to raise rates in December. Fed Chair Janet Yellen has said in recent months that the case for raising rates has "strengthened." 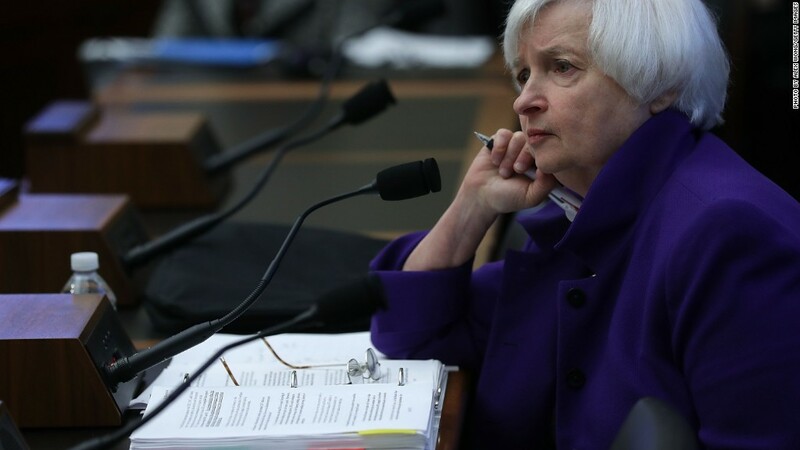 The Fed reiterated that sentiment on Wednesday. "The Committee judges that the case for an increase in the federal funds rate has continued to strengthen but decided, for the time being, to wait for some further evidence of continued progress toward its objectives," Fed leaders said in a statement. The low expectations of a rate hike were one reason behind Wednesday's decision not to raise rates, experts say. Surprising markets, which are already jittery with the U.S. election around the corner, is the last thing the Fed wants to do. "There is a cost to surprising the market -- that would create volatility and there's simply too much volatility right now right now," says Luke Tilley, chief economist at Wilmington Trust. A December rate hike is no guarantee though, especially if Donald Trump pulls off an unexpected win, which would likely roil financial markets around the globe, forcing the Fed to hit the pause button again. But the economy has continued to grow at a decent, 2% pace, and the job market has kept up the momentum. The unemployment rate is very low at 5%, down from 10% shortly after the Great Recession ended in 2009. And wage growth has shown nascent signs of accelerating this year. Against that backdrop, Wall Street believes there's a strong chance of a December hike. Right after the Fed's announcement Wednesday afternoon, investors believed there was a 71% chance of an increase at the end of the Fed's meeting on December 14. "It all points towards a rate hike in December barring a surprise in Tuesday's election -- that's the wild card," says Markus Schomer, chief economist at Pinebridge Investments.